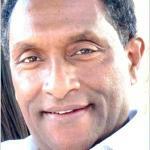 Professor Alemayehu G. Mariam teaches political science at California State University, San Bernardino. His teaching areas include American constitutional law, civil rights law, judicial process, American and California state governments, and African politics. He has published two volumes on American constitutional law, including American Constitutional Law: Structures and Process (1994) and American Constitutional Law: Civil Liberties and Civil Rights (1998). He is the Senior Editor of the International Journal of Ethiopian Studies, a leading scholarly journal on Ethiopia. For the last several years, Prof. Mariam has written weekly web commentaries on Ethiopian human rights and African issues that are widely read online. He played a central advocacy role in the passage of H.R. 2003 (Ethiopia Democracy and Accountability Act of 2007) in the House of Representatives in 2007. Prof. Mariam practices in the areas of criminal defense and civil litigation. In 1998, he argued a major case in the California Supreme Court involving the right against self-incrimination in People v. Peevy, 17 Cal. 4th 1184, which helped clarify longstanding Miranda rights issues in criminal procedure in California. For several years, Prof. Mariam had a weekly public channel public affairs television show in Southern California called “In the Public Interest”. Prof. Mariam received his Ph.D. from the University of Minnesota in 1984, and his J.D. from the University of Maryland in 1988.